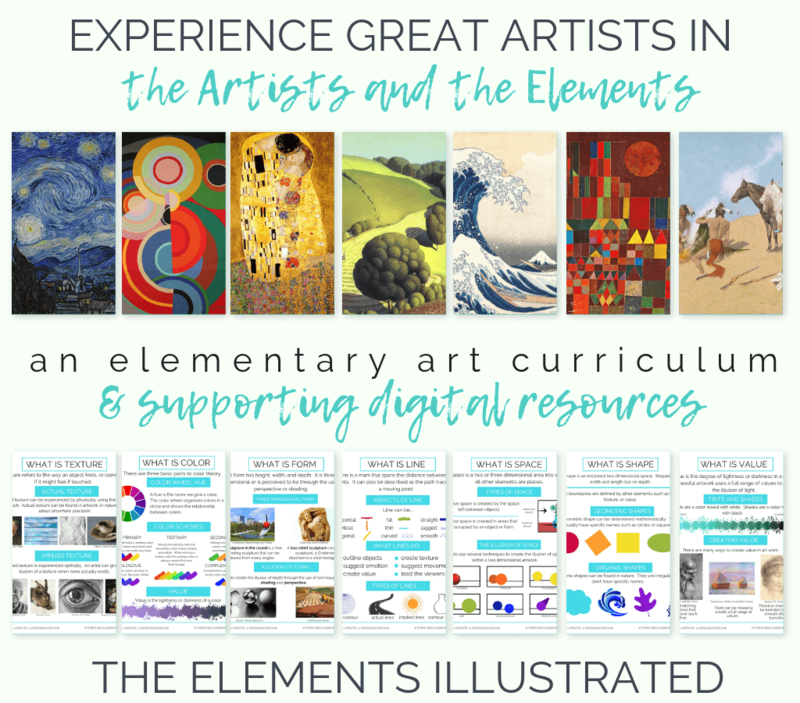 The Elements Illustrated is a complete digital bundle of elements of art posters and other printable resources. 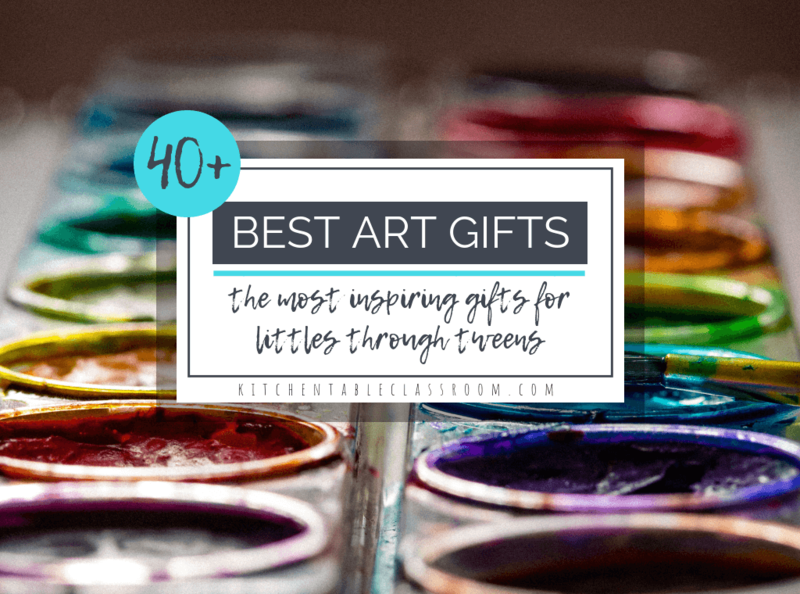 If you’re teaching about the elements of art look no further! FULL COLOR ELEMENTS OF ART POSTERS ARE SIZED FOR PRINTING SMALL OR BIG! 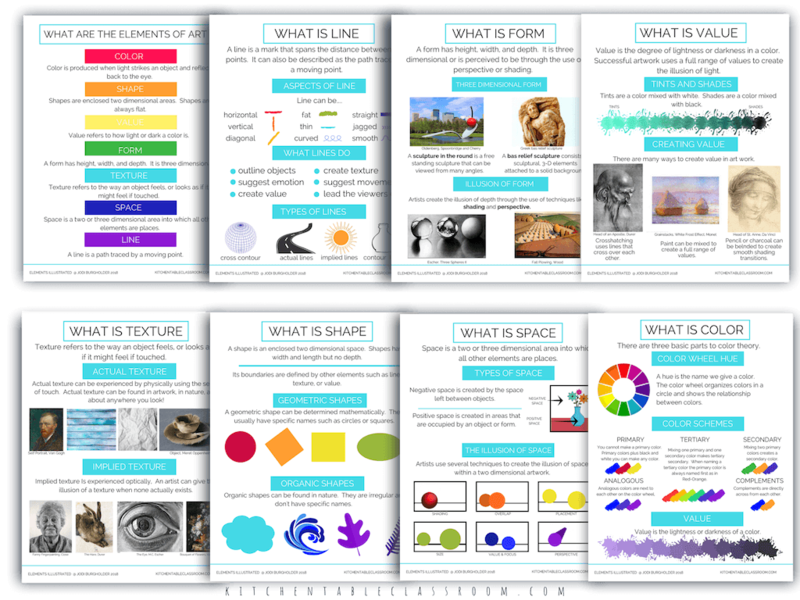 These elements of art posters will be delivered to your inbox in two size- 8 x 10 and 16 x 24. Choose your size for super easy printing. I want this printable pack! 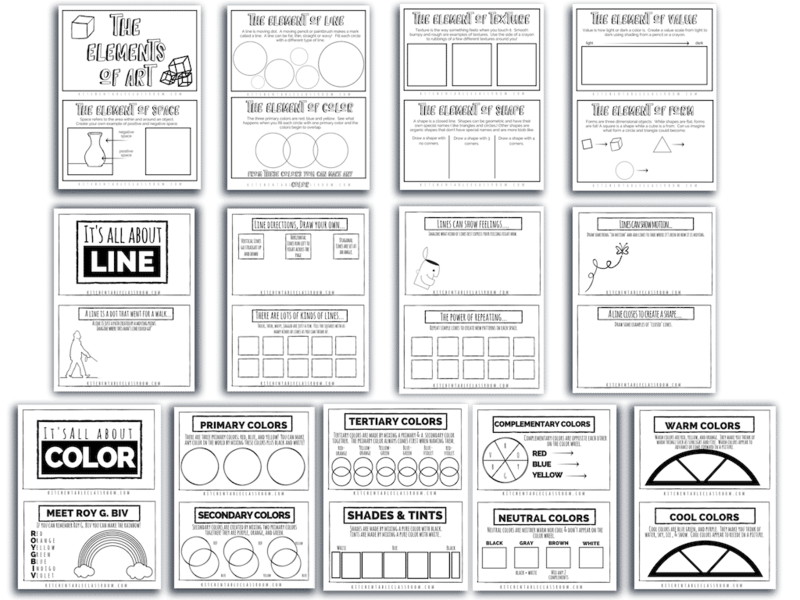 These elements of art printables are black and white for super economical printing. 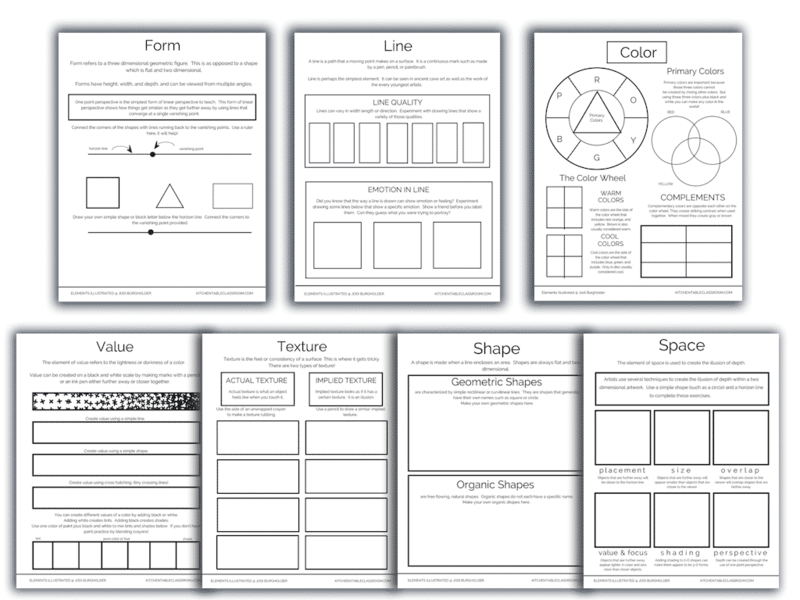 These are a great way to introduce elements of art vocabulary and keep as part of a sketchbook or art journal. 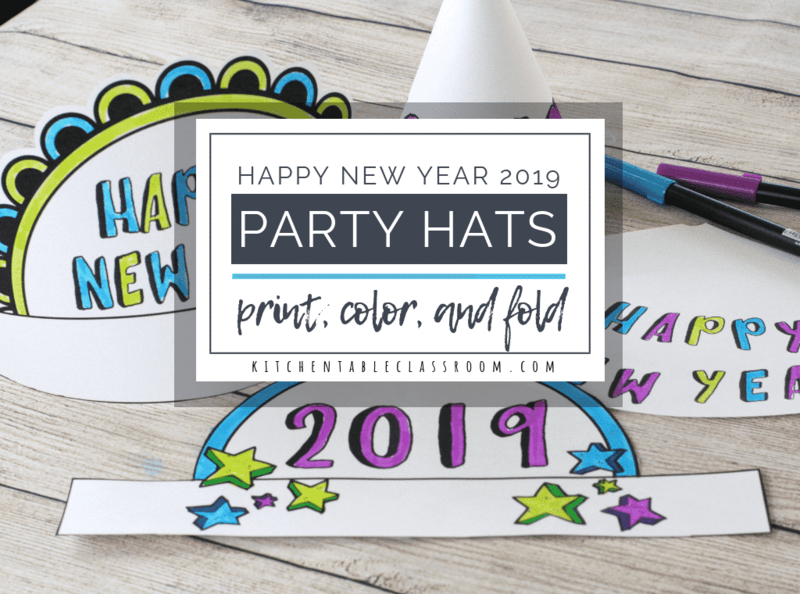 You’ll also get these three printable books to help you introduce the elements of art, the element of line, and the element of color. 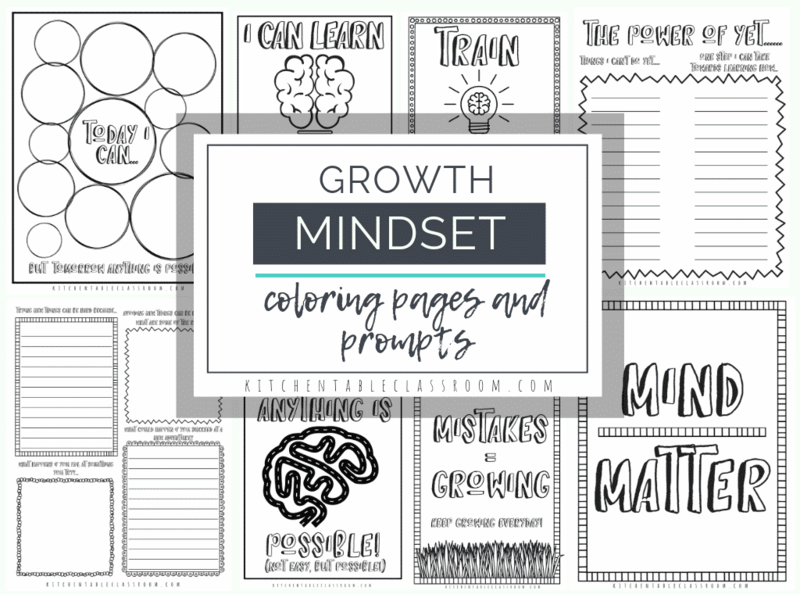 Everything your students need to know to complete these pages is right there on the pages. All three elements of art books can be completed using easy media like markers or crayons! 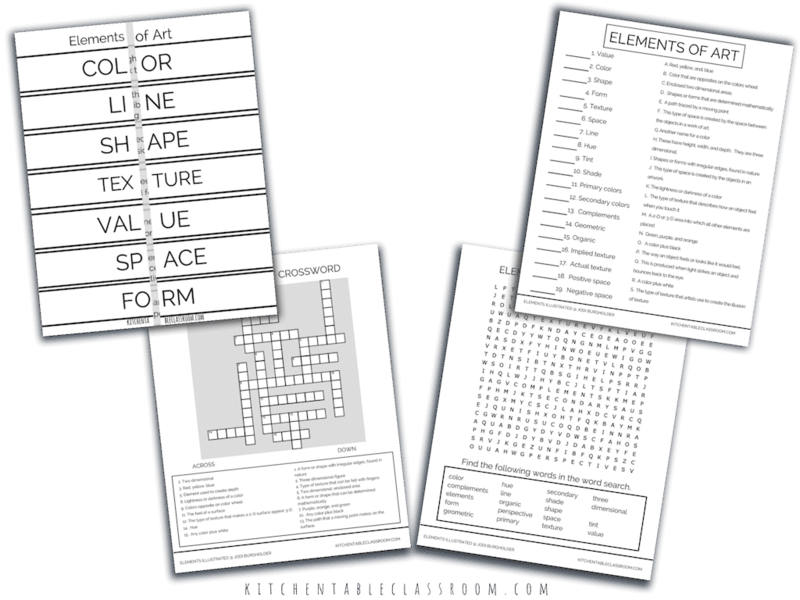 Use these word searches, matching, and crosswords worksheets as one more layer of learning and a new way of introducing the building blocks of art, the elements. Get everything included in the elements Illustrated Bundle plus the coordinating Principles Illustrated for just $5 more! Get both digital bundles for just $5 more! 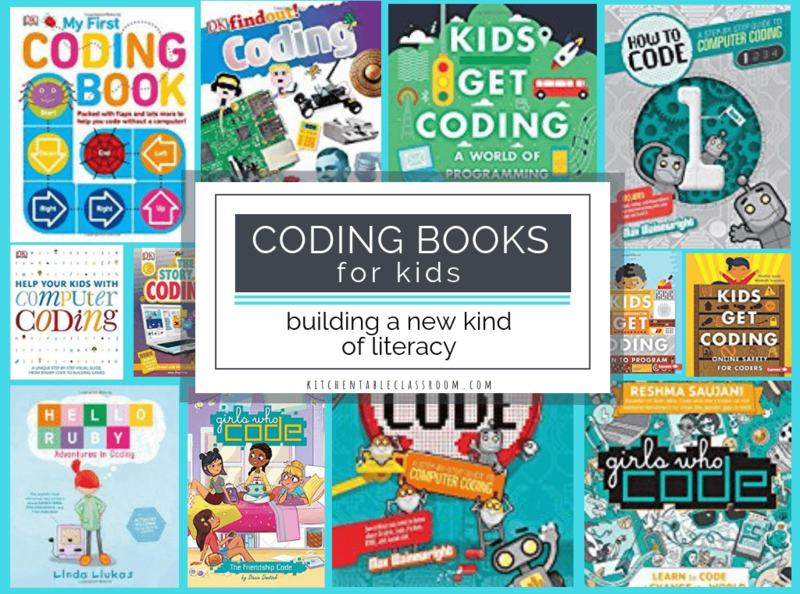 Thank you for making resources that help me help my students. 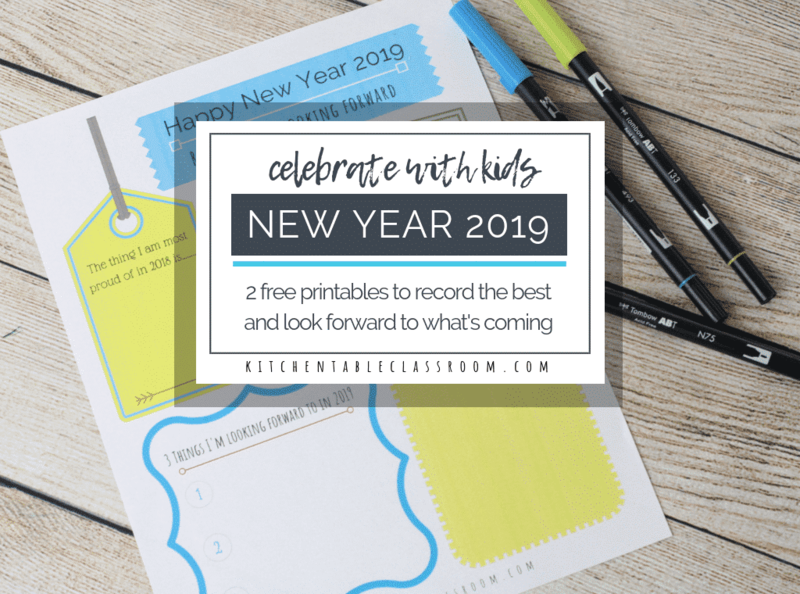 I love that I can use these resources to teach the elements of art and pick elements that match the artwork of the week in our existing curriculum.